I was able to finish up the satin stitching Tuesday night, did the quilting on Wednesday night, and added the pockets and bound it last night! Flowers... I did end up using bright yellow, but I am happy with how it stands out! For the backing and the hanging pockets I used a stashed fabric that I had a yard of. For the binding I used a large scale polka dot print that has lavender and white dots on a purple background -- absolutely perfect for this project! I'm very excited to hang this one up in my kitchen today! Linking up with Free Motion Mavericks, TGIFF, and Finish it up Friday! Today I am guest hosting Building Blocks Tuesday again for Quilter in the Closet! Sarah requested super rainbow blocks! 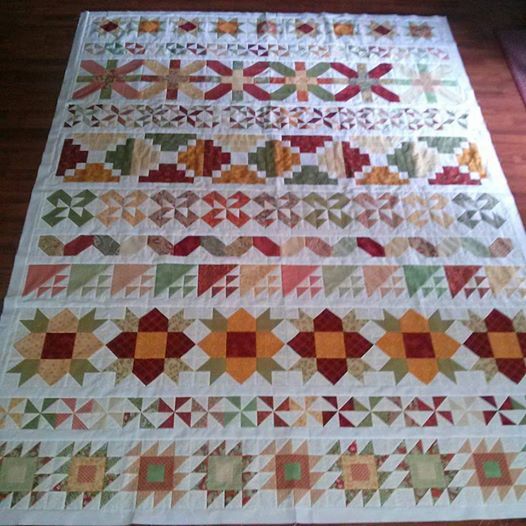 I cannot wait to see her finished quilt! It was so nice to be able to use up some of my stashed strips for these blocks. Now it's your turn to show me what you've been stitching! Thanks for stopping by and don't forget to check out what else I've been up to lately over on the Popular Posts sidebar! Since I failed again and didn't get my July wall hanging done in time for the Fourth of July (or the majority of July for that matter) I decided to skip ahead and get the satin stitching started for my August wall hanging. I am so happy with the bee hive! The brown thread I had was perfect for outlining and after a wee bit of tension adjusting it was sweet and smooth. I'm slightly less thrilled with the green because it's exactly the same color as the fabric I used for my stems and leaves. The stems after stitching show almost none of the fabric -- and I actually widened the width of the stems to get them to show better! The flowers will be outlined in yellow (I think) but I might have to get a lighter yellow than the bright lemon yellow that I have. The bees will be done in all black and I'll do stitched stripes instead of appliqued stripes. And as cute as their little antennae are, they are hella hard to stitch around, even when you decrease your stitch width. Thoughts? I'm also SO happy with the purple! The pattern has this one with a blue background and I definitely wanted to mix it up! I'm going to quilt this one with all over swirls because a number of the background fabrics are swirly. Hopefully I can get this one finished for real before August starts. I still have my May Flowers hanging up in my kitchen! Sharing at the normal Tuesday places: Fabric Tuesday, Linky Tuesday, Sew Cute Tuesday! 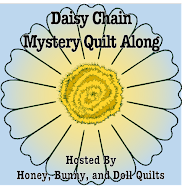 I'm joining in for Meadow Mist Designs' second mystery QAL -- Midnight Mystery! After seeing all of the beautiful quilts from last year and all of my quilty friends joining in (and peer pressuring -- cough cough Audrey!) 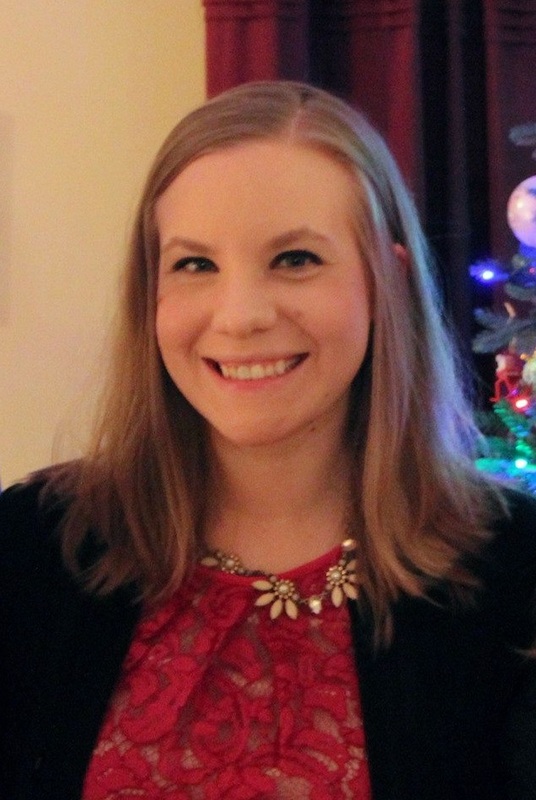 I decided that I am going to take the plunge and join in! I was originally planning to make a scrappy quilt, but I realized most of my scraps are too small with all of the bigger pieces required for cutting this quilt. Instead I went with a set of three fabrics that I have had hanging around in my stash for a looong time. My fabrics are actually D, C, B, A as per the directions in this picture. The three right fabrics I got as a gift from my mom and sister for my birthday a few years back and the leftmost fabric is Navy Blue Kona for (what I would assume would be) the background fabric. I have enough of the teal print to use for my binding as well! I am hoping that the dragonfly print doesn't get cut up too much further to show off the lovely print! And now everything has been put into a bin to wait until the next set of directions come out in August! Have you joined in yet? There's plenty of time to catch up before the first set of sewing directions come out August 1st! Sharing at Linky Tuesday, Fabric Tuesday, and Sew Cute Tuesday!! It's Wednesday, and I've finally made some serious progress on my Romantic Garden quilt to share with you! I finally finished up all of my block Bs and here are all of my block As and Bs laid out. I realize how that I maybe should have switched up some of the fabrics in A with some of the fabrics in B -- the A fabrics are small prints and tonals, the B fabrics have both larger scale prints from the bunch. Oh well. I do think it looks better in person, and of course it's was seriously cloudy when I was sewing so the lighting isn't great either. C'est la vie! The center of this quilt is actually only 60 inches square, but there are 7 borders that go on this baby. S-E-V-E-N. One of them is a pieced border with square in a square units. I'm going to do all of the cutting for the other borders and then do all of the piecing for the square in a square units with all of the fabric that I have left. 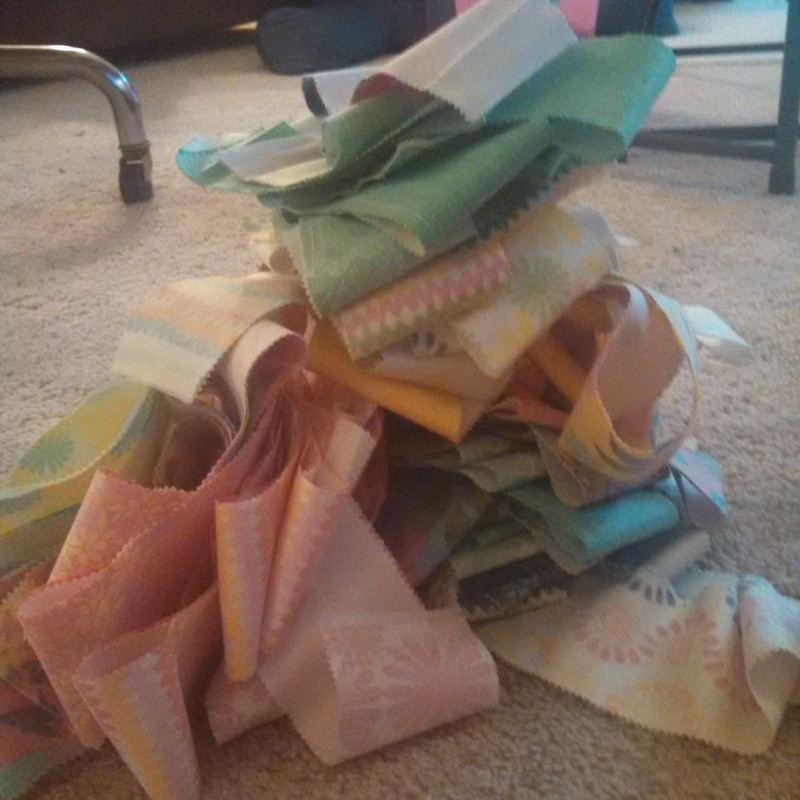 QCQAL 2: Finished Quilt Top Tips and link up! We've reached the end of the road! 1. You will more than likely need to play around with your layout. You want to mix up your sizes of rows and make sure that your fabrics are mixed up as well! I would suggest starting out your rows in the same size order as mine, and then move around as needed! 2. I sewed the sashing strips on to the bottoms of all of my rows, then sewed together in pairs, and then sewed the pairs into pairs, etc. until the whole quilt was sewn together. Hopefully this will help some of you in figuring out how to lay your rows out! Note: for those of you that have made the throw size and have two of each size row, you can skip the top three -or- the bottom three rows on my quilt since you have 8 rows instead of 11! Bonnie got hers done this weekend and was kind enough to send me a picture! As I mentioned above, she used two inch sashing instead of one inch sashing. Her row order is 8 inch, 4 inch, 12 inch, 6 inch, 12 inch, 8 inch, 4 inch, 6 inch, 12 inch, 4 inch, 8 inch. And it is now your turn to share whatever you have finished -- blocks, rows, or finished quilt tops! In two weeks I'll have a "quilt parade" post of all of the finished tops! Sharing at Sew Cute Tuesday, Building Blocks Tuesday (guest host Patch + Dot! ), Linky Tuesday, and Fabric Tuesday!